The new award from Carousel looks like a great initiative .... and also for a great charity. I was thrilled to see "Sweaters and Small Stuff" featured in this month's edition of Books Ireland. 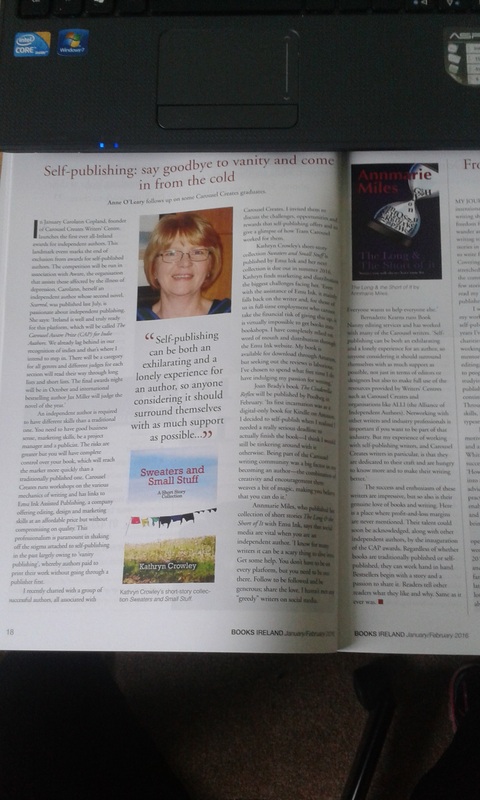 Anne O'Leary's article on self-publishing and assisted publishing was excellent.